Personality Principles, LLC, is dedicated to helping individuals, groups, and organizations unlock and develop their potential, based on harnessing the power of personality--strengths, struggles, desires, and emotional needs. Personality Principles, LLC, is a global provider of training, consulting services, and support tools, helping our clients achieve their greatest potential. Business philosophy encompass mission and vision, but also values, dreams and goals. 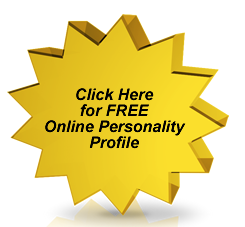 Personality Principles, LLC, was created, because we felt the popular personality systems on the market left a hole that needed to be addressed. People are more than strengths and weaknesses, they are emotional and spiritual as well. The Personality Principles assessment system incorporates these elements as well as identifying a person's strengths and struggles. It takes a more holistic approach to empowering people to be their best. The Meyer-Briggs Type Indicator (MBTI) has evoved to be used by psychologists, counselors, and other professionals. It's use is restricted to those working in the counseling and therapy fields. Though its an excellent system, it is not readily available to the lay person and...it's complicated. The DISC system was developed for use in the workplace, honing in on an individual's strength and weaknesses relating to job performance, but lacks a little in the emotional and spiritual parts of life. So, with a number of good personality systems on the market, why was there a need for another personality system? 1. It's easy! Easy to remember and easy to apply where it counts the most. The Personality Principles, Personality Assessment System, is both easy to understand and easy to apply in numerous areas of life - parenting, marriage, friendship, work environments, etc. It almost doesn't matter if a personality system is the most accurate, researched or expensive, the bottom line, if it isn't easy to understand and apply to their area of problem or pain - people just won't use it. 2. This system incorporates a vital key element that many other systems miss all together - emotional wellness. Addressing the individual's emotional needs based on his or her personality, takes on a more holistic approach to understanding the person, not just a personality type. For those of us at Personality Principles, this is not simply a job or business, it's our way of life. The information we teach has had a radically profound impact on our life's first. We make it a point not to teach anything that hasn't worked for us first. Kathryn is the founder of Personality Principles, LLC, and the author of this easy-to-use personality assessment system. Kathryn's training and coaching are available globally, through teleconferences and on-line webinars. So, no matter where you live in the world, this life-changing information can be accessed. In each teleseminar there is plenty of life changing information, learning and fun. 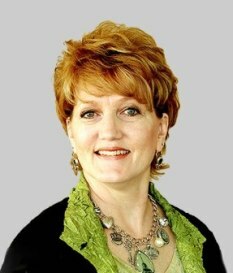 Kathryn was the former Director of The Personalities, with CLASServices, and a frequent presenter and group leader in their seminars.. As a Certified Personality Trainer, she speaks to community groups, colleges, businesses, jails and churches across the country. On a personal note, she is the mother of five sons and mother-in-law to four daughter-in-laws, and Grandma to two darling grandchildren - Jenna and Luke. She has been married to her husband Steve, since 1978, and has had plenty of opportunities to practice what she preaches.